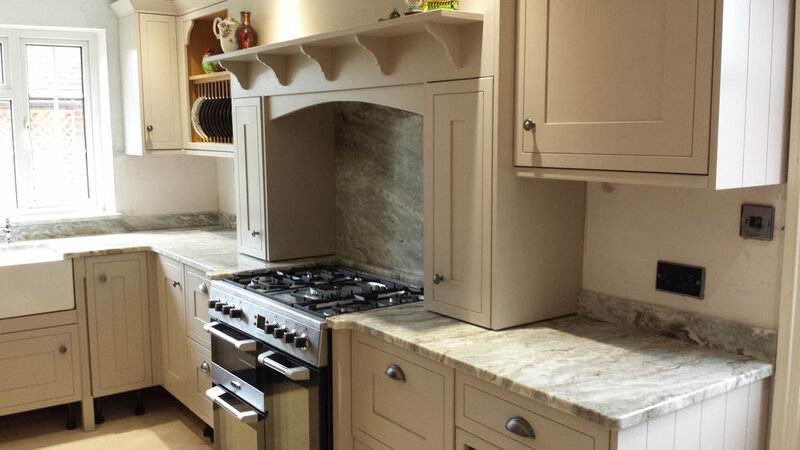 We create the ultimate kitchen experience with high quality materials and hand-crafted finish. 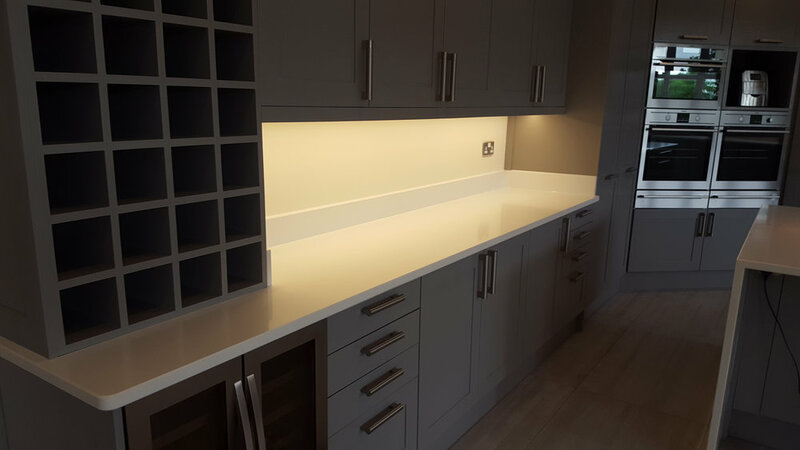 A bespoke granite or quartz worktop can provide a luxury finish to your kitchen and therefore selecting the right company to manufacture these items is an important decision. 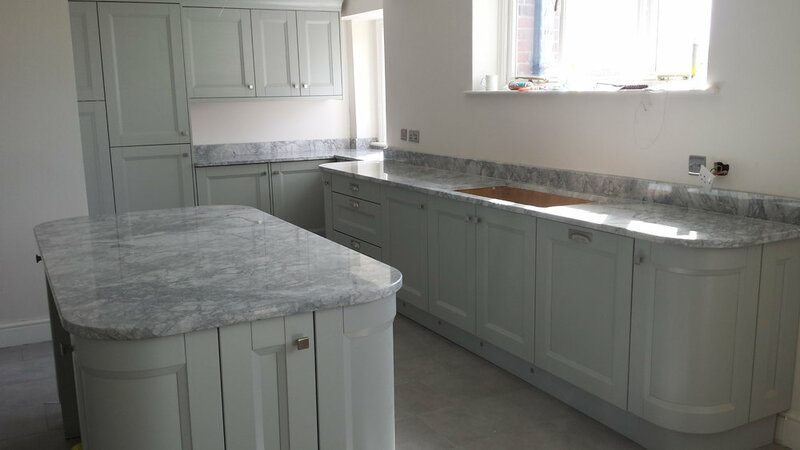 Our About page gives a number of reasons why Southern Counties Marble and Granite is your one stop shop for all your natural stone kitchen worktop needs. 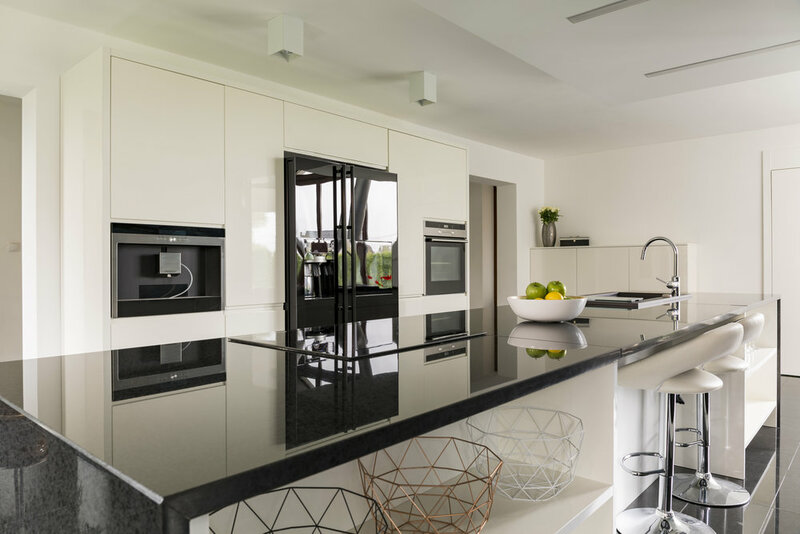 Below we have attempted to briefly explain the differences between Quartz and Granite and the benefits of both as kitchen worktops. Please feel free to give us a call if you require more information. One thing that drives customers to quartz worktops is the variety of colours available. 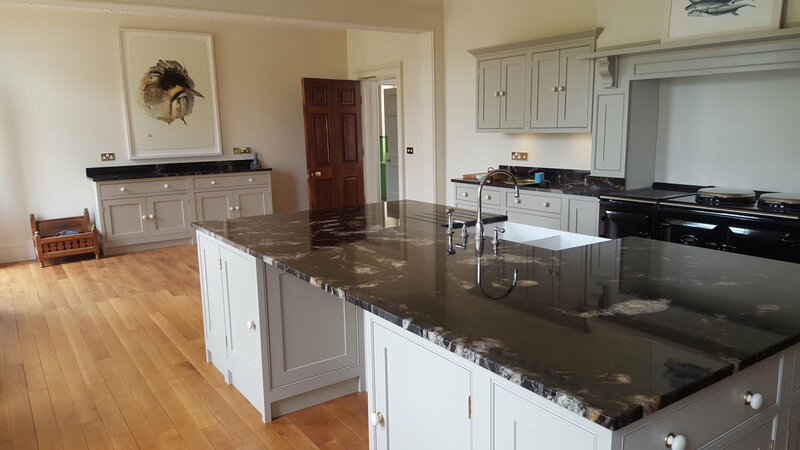 In addition to all the traditional natural stone colours, quartz worktops can be found in red, blue, green and orange amongst many others. 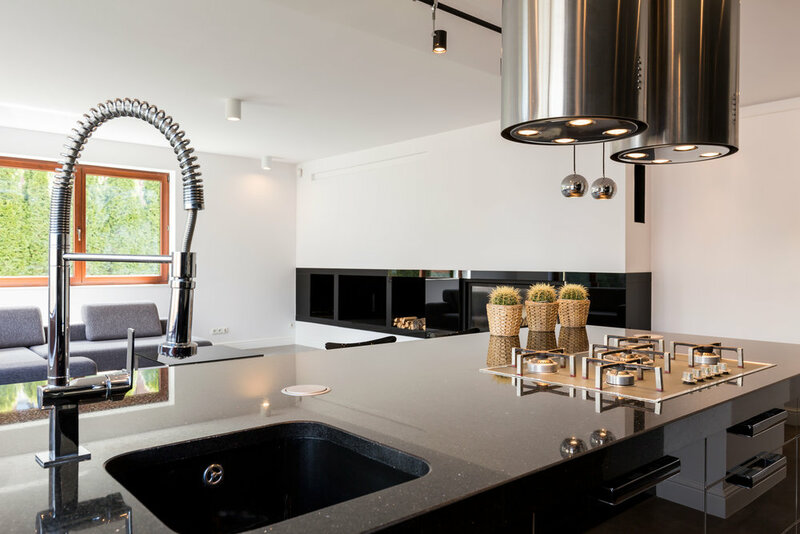 Some manufacturers such as Silestone have taken the production of Quartz to another level by introducing an anti-bacterial element that contains microban which helps to inhibit the growth of bacteria - all this and it still maintains its normal characteristics and properties. 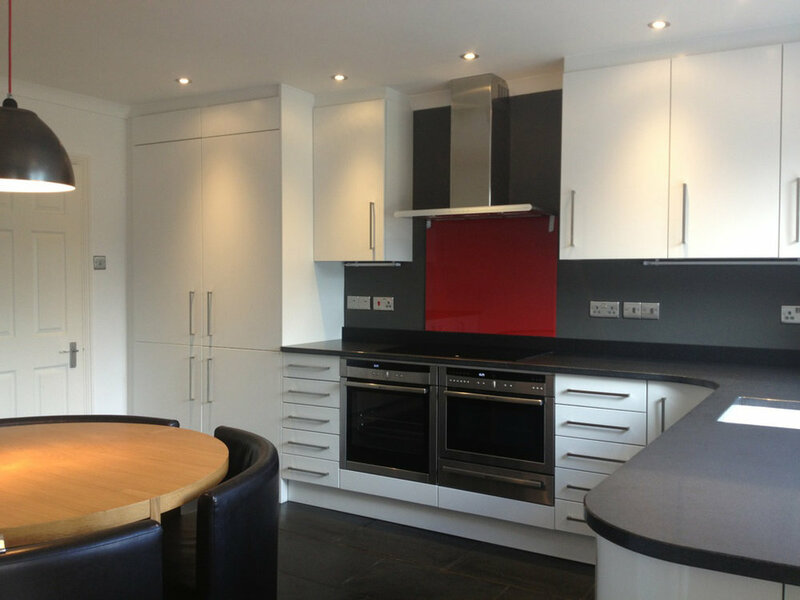 We are approved fabricators for major quartz suppliers such as Silestone, Ceasarstone and Arena Stone. 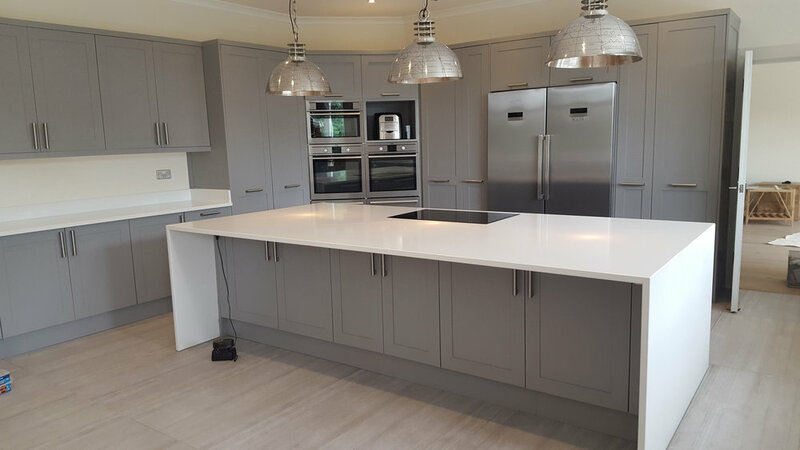 For more information and to discuss whether a quartz worktop is the right choice for you and your kitchen, please give us a call and we'll be happy to advise. Granite is a naturally occurring stone that can be found across the world. It is formed as a result of the slow crystallisation of molten magma deep in the earth curst this gives the granite it distinctive varied and beautiful colours and patterns. Once cut and polished, granite is a waterproof surface of strength and beauty that is resistant to heat and scratches. 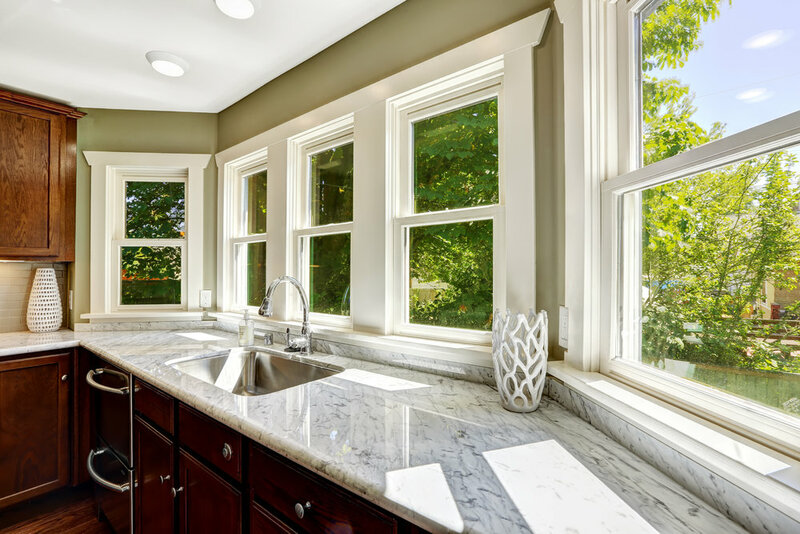 Unlike quartz, granite is mined straight from quarries and cut into large slabs and distributed around the world. 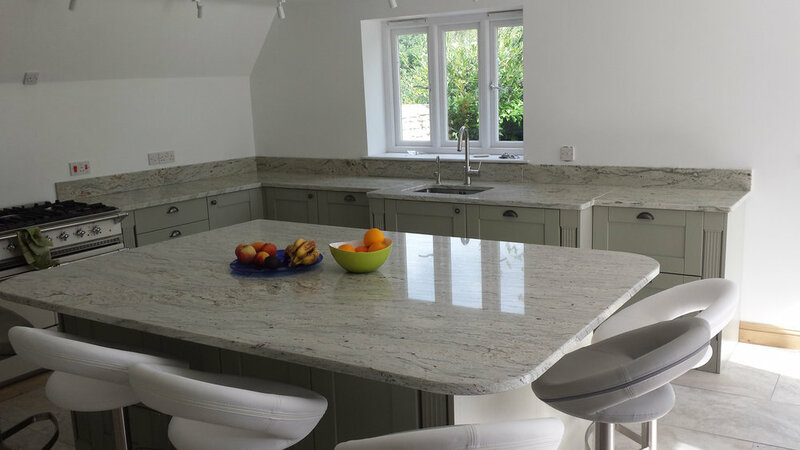 Due to the nature of granite, consistency of colour and pattern is far more difficult to achieve than with quartz, but visually more striking effects can be produced. The surface is easy to clean and maintains its colour over time. We only deal with distributors that can deliver the finest quality product together with a good choice of unique colours and patterns. If choosing a granite worktop, a visit to our factory is a must. It is advisable to view our selection of stock to ensure you get the colour and pattern of your choice. 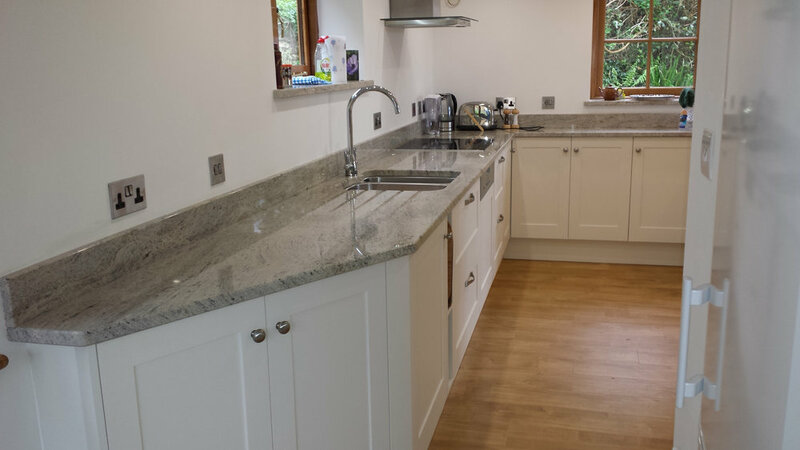 Whilst we are happy to fabricate worktops in quartz and granite, we do not recommend using marble for kitchen worktops. Marble is a again a natural stone with beautiful grains, but it is not as hard as granite or quartz and is slightly porous. Greater care is therefore required with a marble top and it is best suited for a bathroom or cloakroom, for example as a vanity top. We help you choose the material and pattern of your worktop. We will then arrange a site visit to measure up the worktop template. We then fabricate your new top and install it. — Mr M Morris, Hampshire. Copyright © 2017. Southern Counties Marble & Granite Ltd.